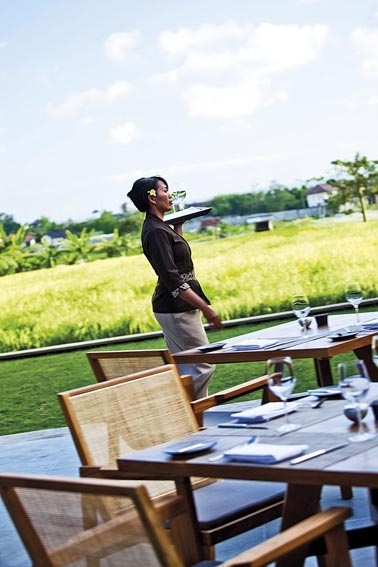 From a traditional Balinese appetiser to a chef’s speciality of the eastern Bali flavour, Kunyit Restaurant rekindles the taste of ancient Bali by taking the Balinese cuisine to an elevated level. 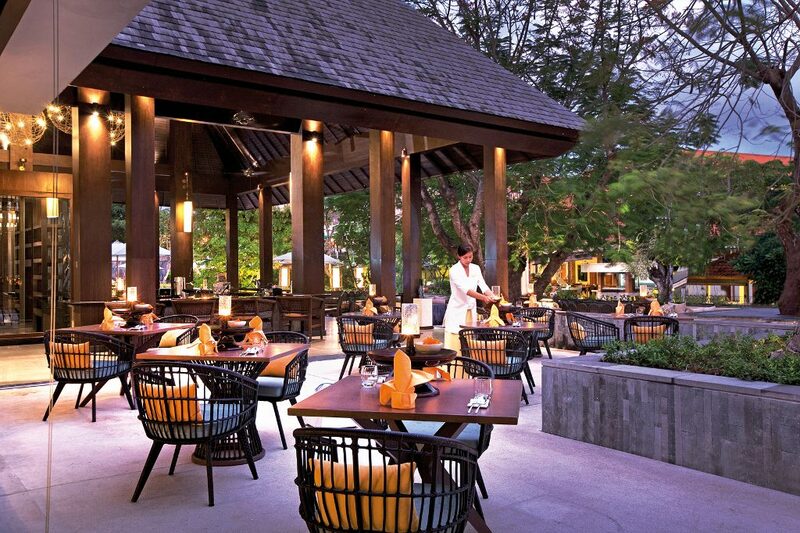 Situated at the front of The Anvaya Beach Resort, this beautiful lounge setting restaurant serves up a home-style selection with a casual elegance, offering a rich menu that is known for its flavour and history. Meaning turmeric in Indonesian, a key ingredient in most of the Balinese cuisines, Kunyit Restaurant succeeds to present a combination of recipes that are passed down from generations before. As I wandered around the busy street of Jalan Kartika Plaza, subtle hints of the Balinese contemporary design exteriors whispered to me: “You have arrived”. 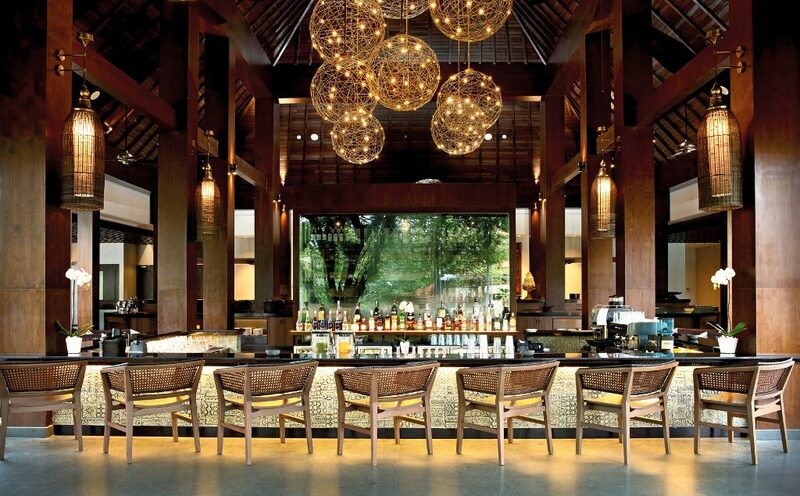 Straight after I strolled through the entryway, I noticed a family-style, high-end restaurant enlivened by a mix of conventional Balinese accents and modern influence. Next to a central bar, many tables were set outside and perched just enough above the street to remain unseen from public view. The tropical breeze flew through the lush gardens to deliver me a rich aroma of turmeric. Waltzing into the designated feasting area, I was impressed with many of the subtle but character driving design elements. The ambience was warm, intimate and a bit spiritual, helped by a centrepiece of ceremonial offerings on the wooden tables. Solid wood pillars and high ceilings maximise the luxuriousness, creating an elegant look to the entire place. The additional antique paintings and wall designs are there to add another dimension to the already classy establishment. The interiors of the restaurant gets a firm nod of approval from me! While deciding what meals to have, the waitress approached with a ceramic basin for a traditional hand washing ritual. Infused water was then poured over my hands from a fancy ceramic kettle into a wooden bowl. As I towel-dried my hands, I could smell a refreshingly light lemongrass fragrance from either the towel or the infused water. 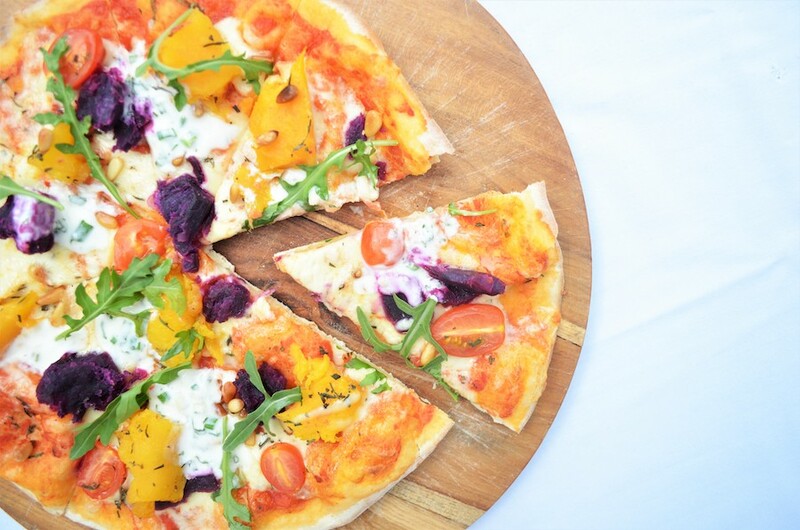 Their chef’s speciality is the Megibung, a mixture of different dishes on a single huge plate. Highly recommended for those who want to experience the ancient Balinese family dining, this one can give a real ‘kick’ to your tummy! This set of dishes contains chicken and pork satay, grilled prawn, pork belly, grilled chicken with sambal matah, steam fish wrapped in banana leaf, Balinese sausages and Balinese vegetables (a mix of green beans and sprouts plus seasonal vegetables lightly dressed in shaved coconut and chilli). 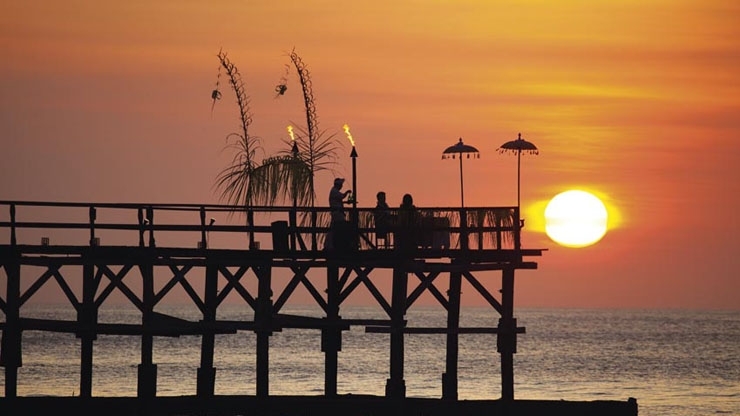 When it comes to sampling the true Balinese flavours, this was it! Both the pork and chicken were stuffed with local spices, steamed and deep-fried. The meats were soft in texture and tasted deeply piquant, while the vegetables brought a perfect balance in my mouth. For a sweet yet refreshing treat after such an indulgent bite, the dessert platter in the Megibung set menu presented Bubur Injin (fried banana with sesame seed) and fruits. 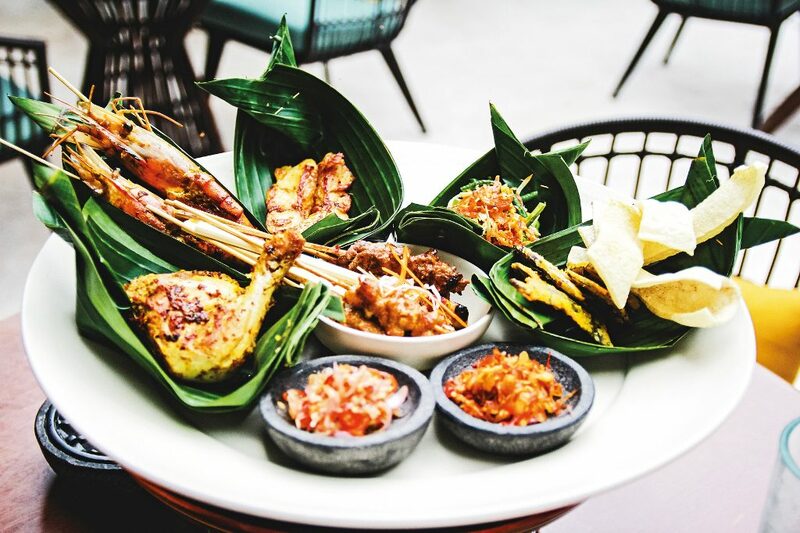 All these flavourful dishes really represents the authenticity of Balinese cuisine. However, my top selection was Bebek Goreng Kunyit. Presented with Jukut Ares Soup (boiling banana stems with a mix of traditional Balinese spices), this fried crispy duck marked the end of my savoury courses. 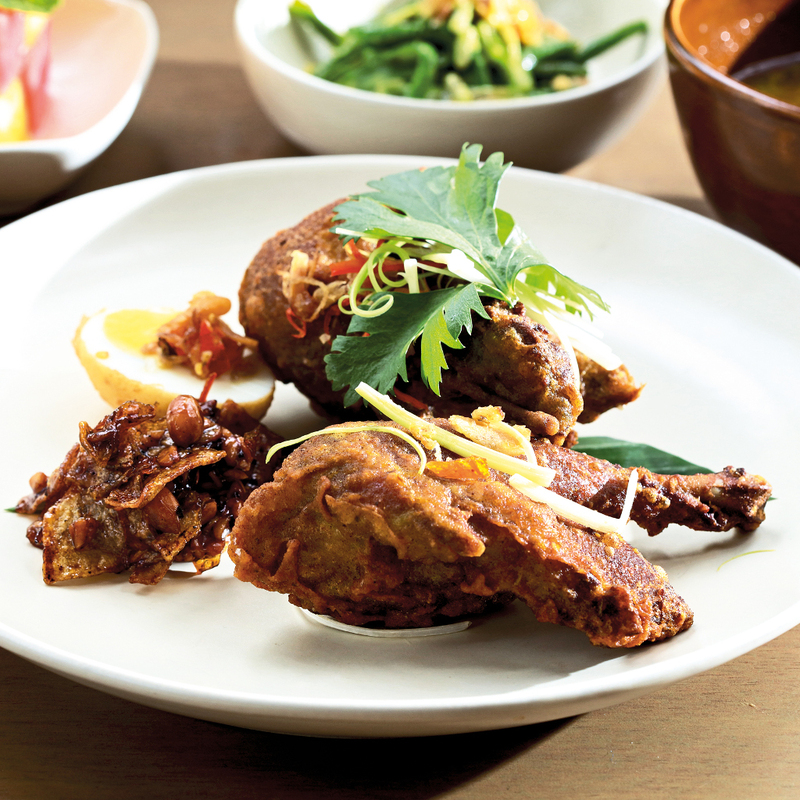 Crunchy and fragrant, the duck was carefully and meticulously deep-fried to present that wonderfully crisp golden brown skin and incredibly delightful taste. As the smell teased my taste buds, my fingers picked into the very tempting meat and I took my first bite. I definitely took a moment to relish its taste, its succulent delicacy. The dish danced across my palate with a symphony of flavours. For me, dining at Kunyit Restaurant was not only to make my taste buds dance from the flavours, it was also an opportunity to engage the mind and test the bank of my knowledge about the history of Balinese traditions.